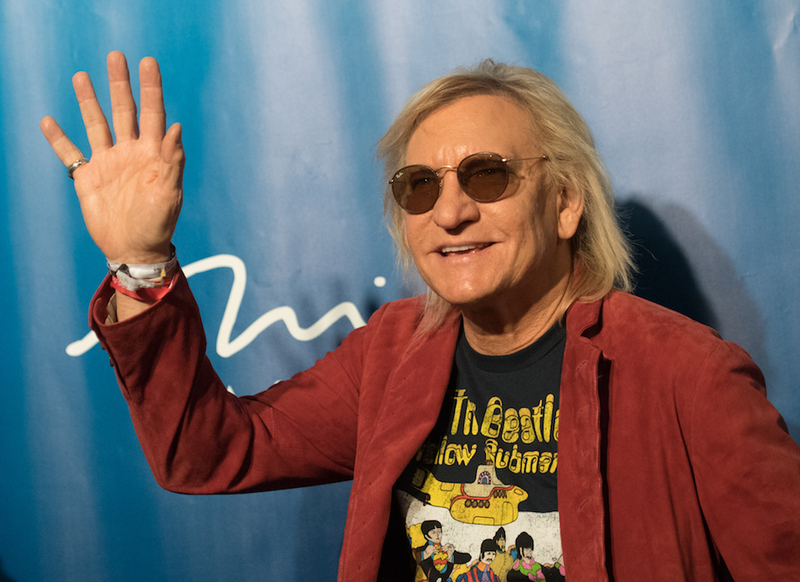 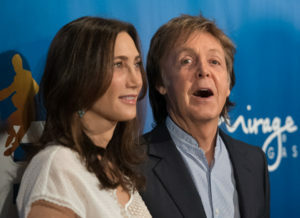 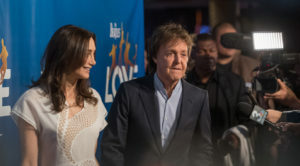 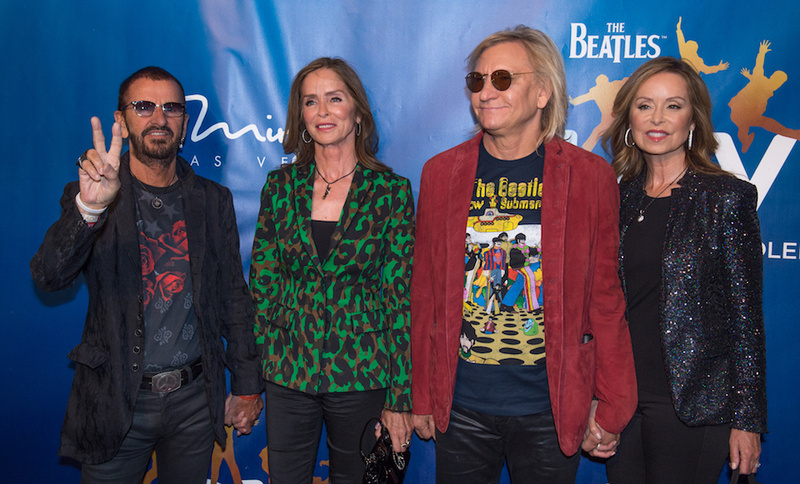 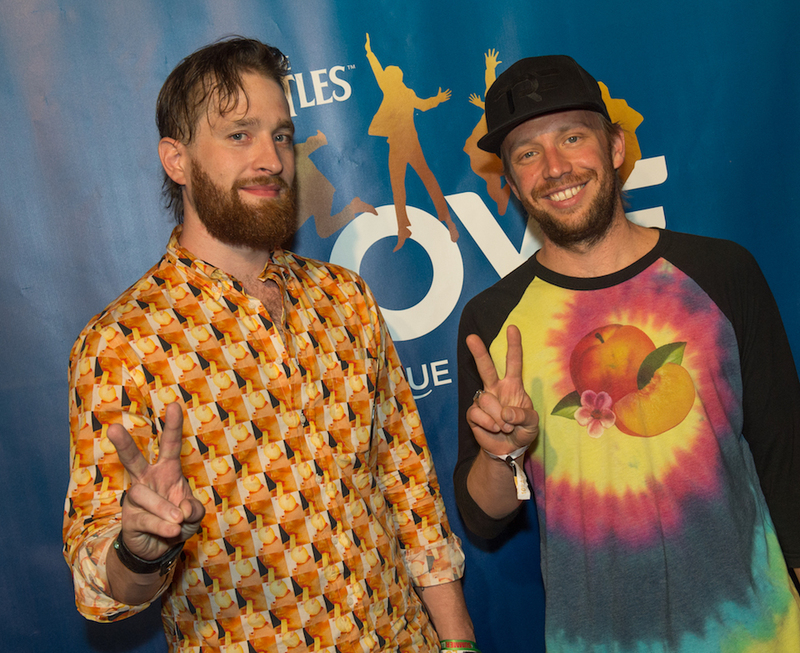 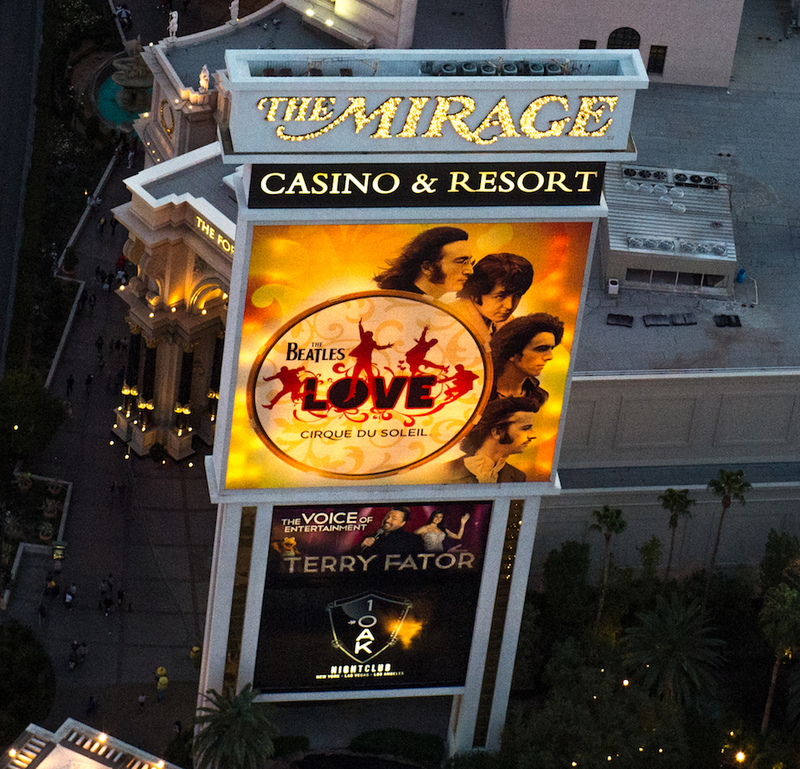 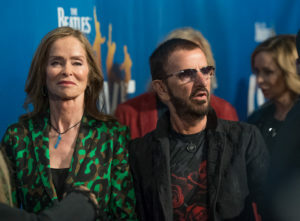 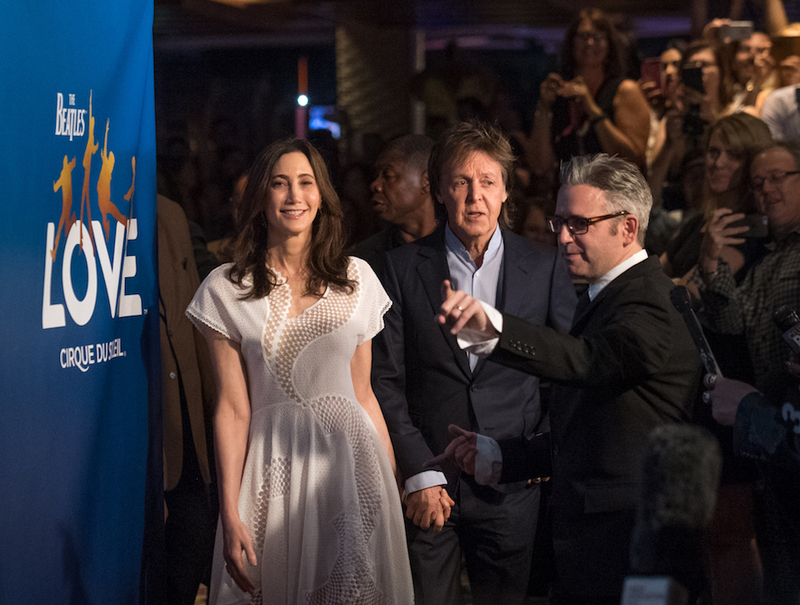 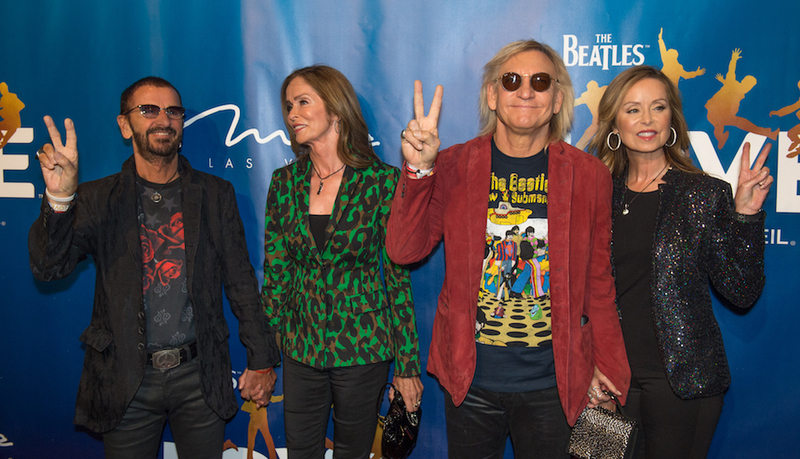 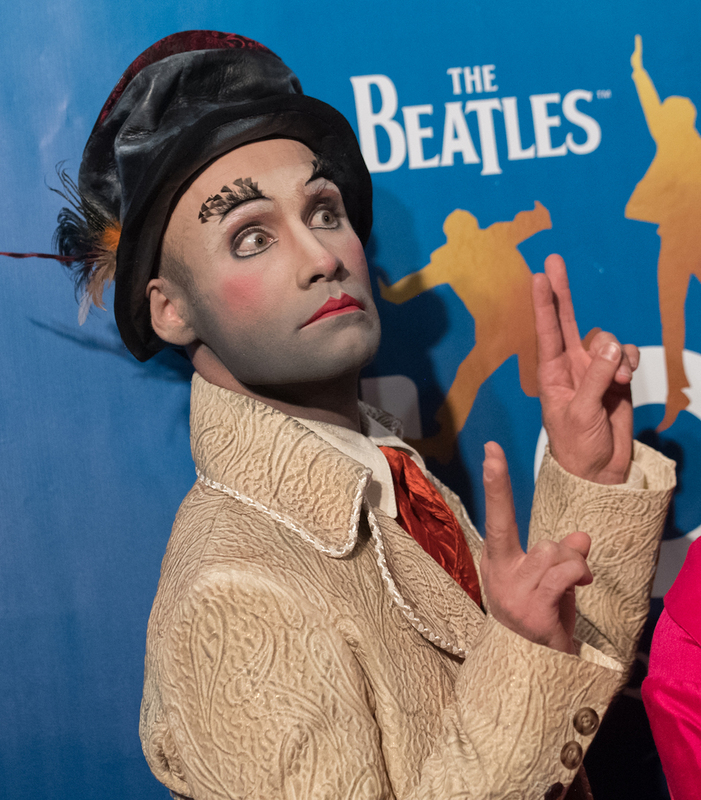 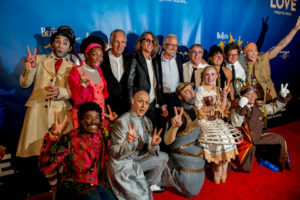 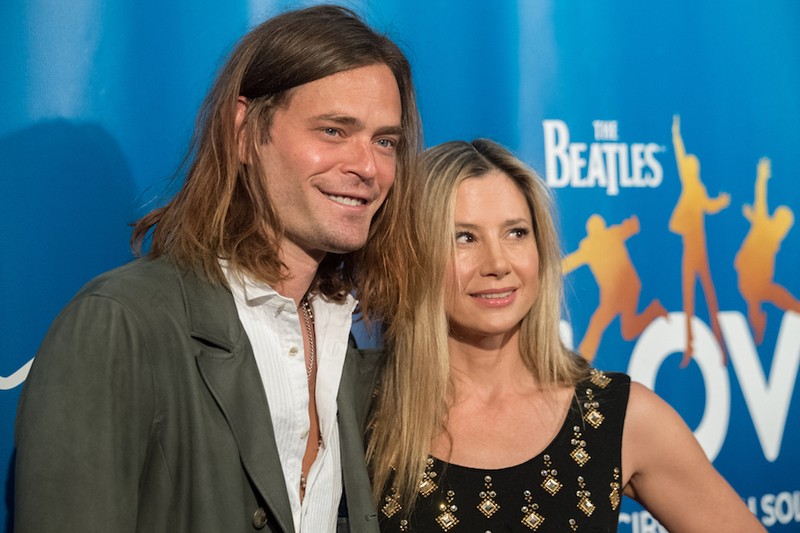 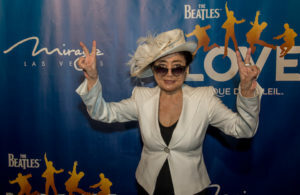 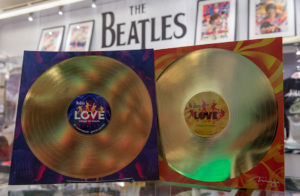 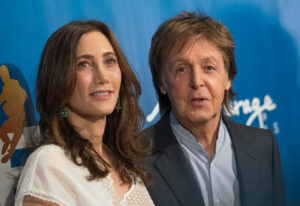 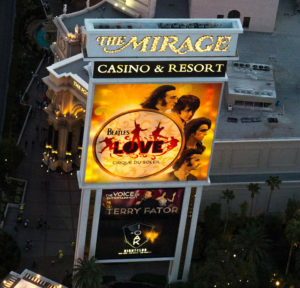 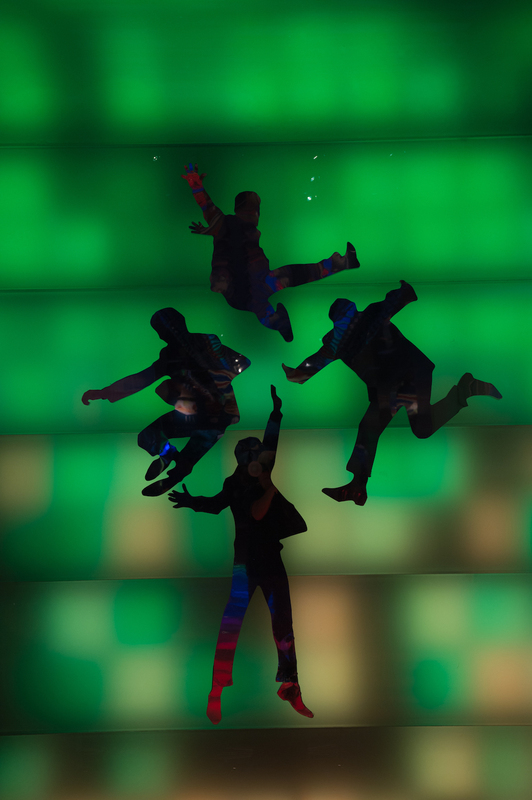 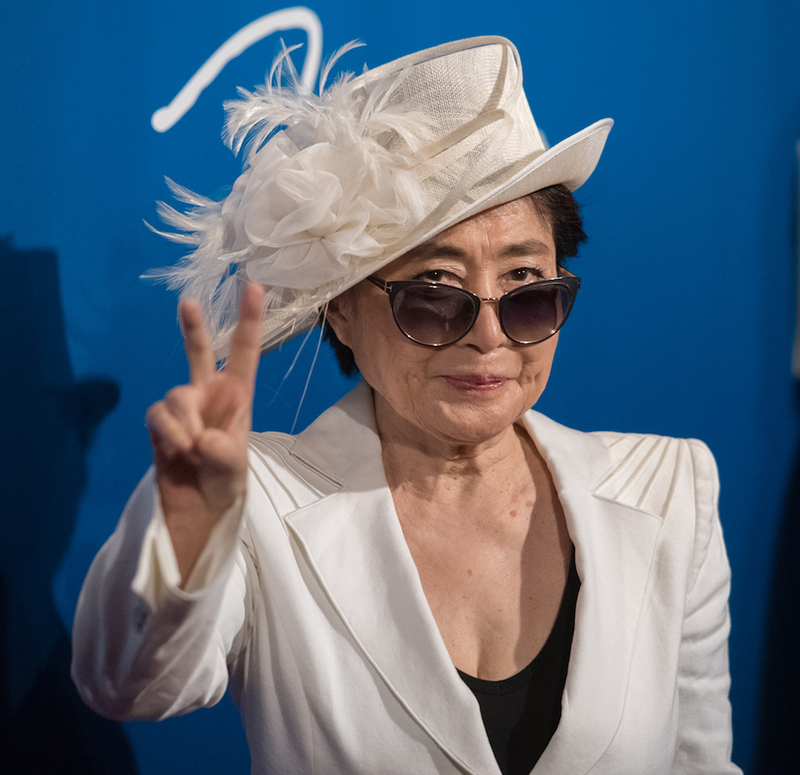 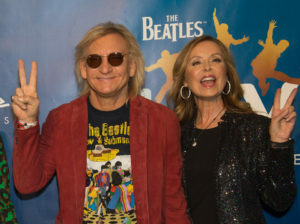 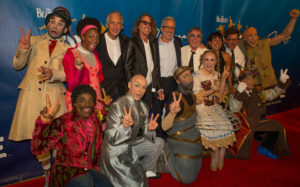 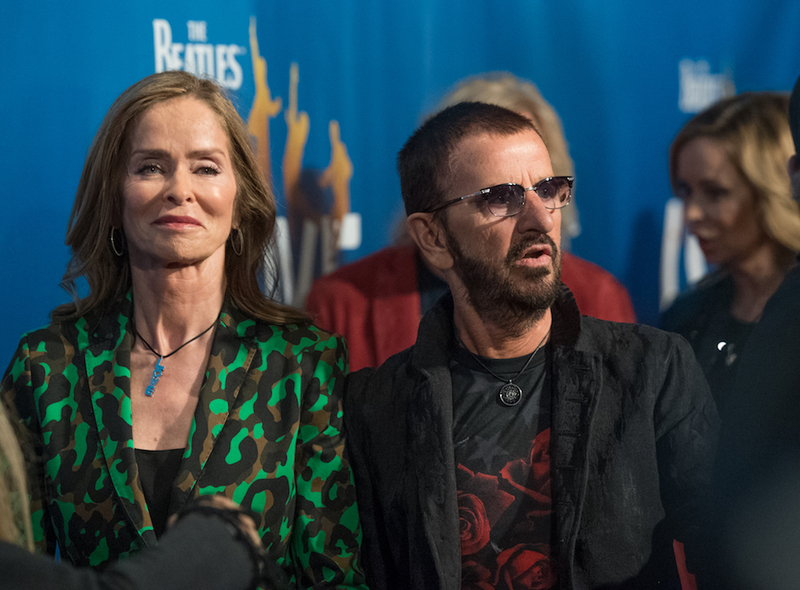 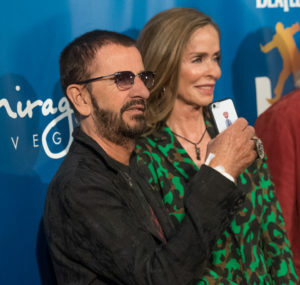 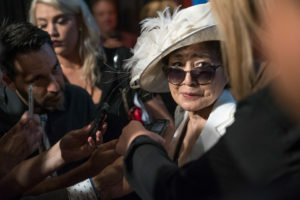 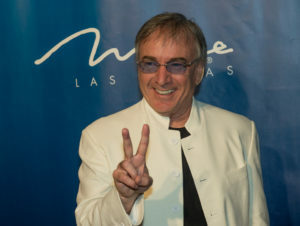 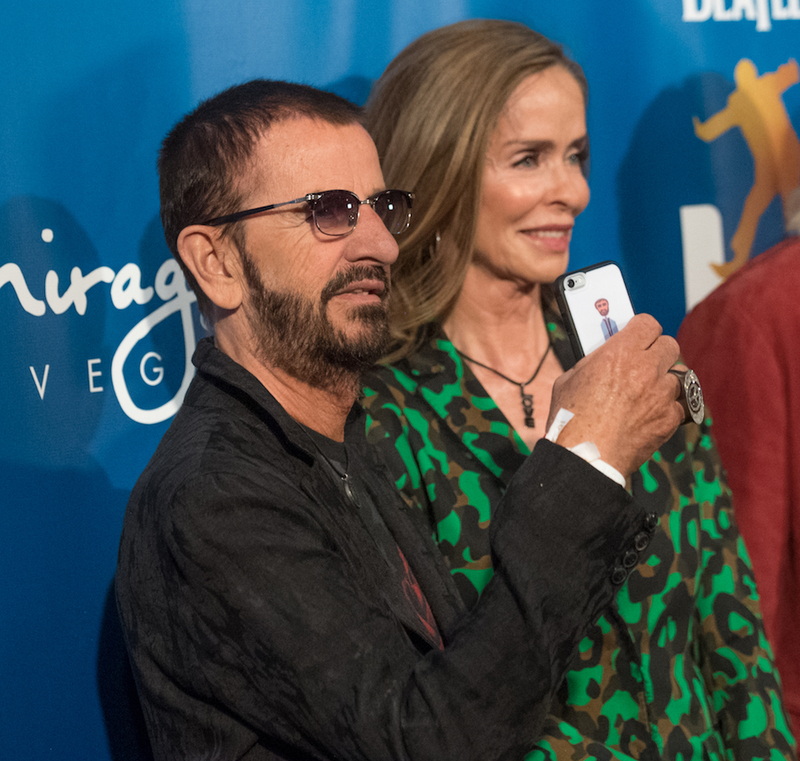 Former Beatles Paul McCartney and Ringo Starr, along with John Lennon’s widow, Yoko Ono, were on hand Thursday night in Las Vegas to officially mark the ten year anniversary of Cirque du Soleil’s Beatles-themed show, “Love.” McCartney was accompanied by his wife, Nancy Shevell, Starr by his wife, Barbara (and her sister, Marjorie, with her husband, rocker Joe Walsh), and Ono by her son, musician Sean Lennon. 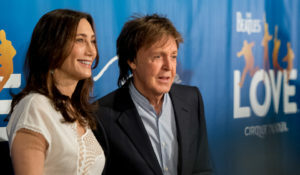 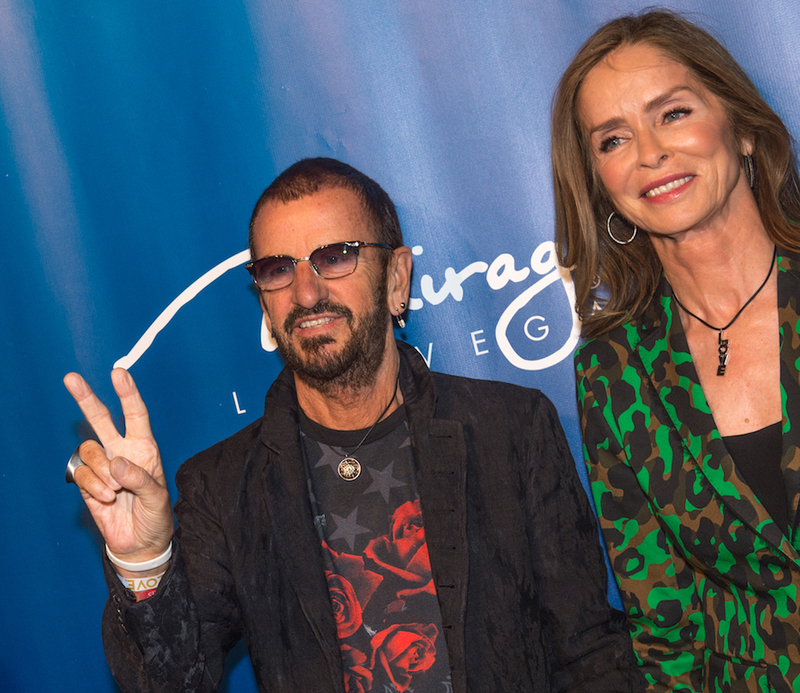 It was expected that Olivia Harrison, George’s widow, would also be present, but was unable to attend due to illness. 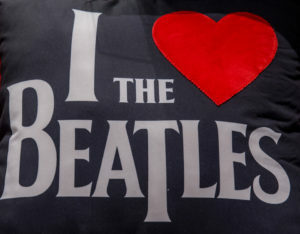 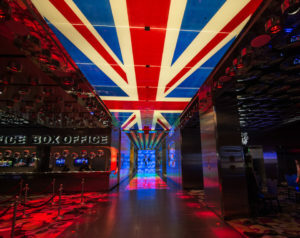 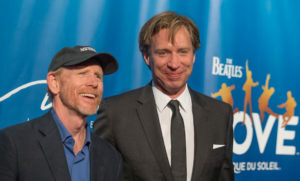 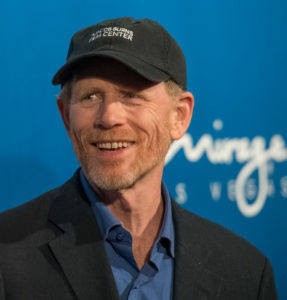 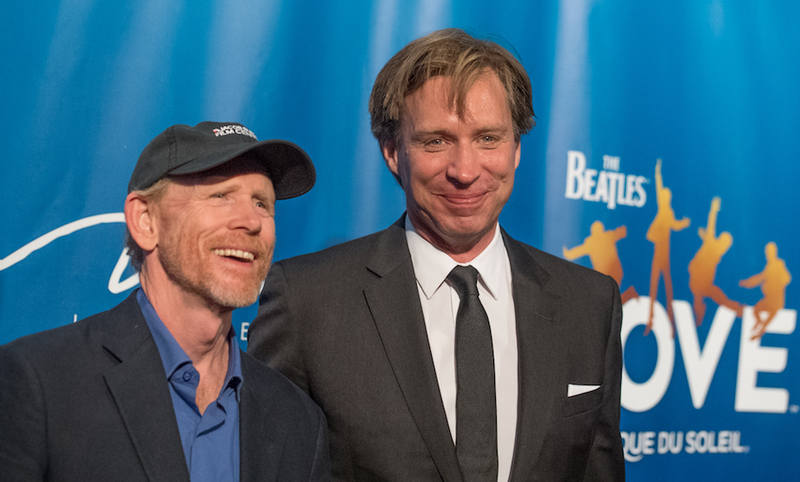 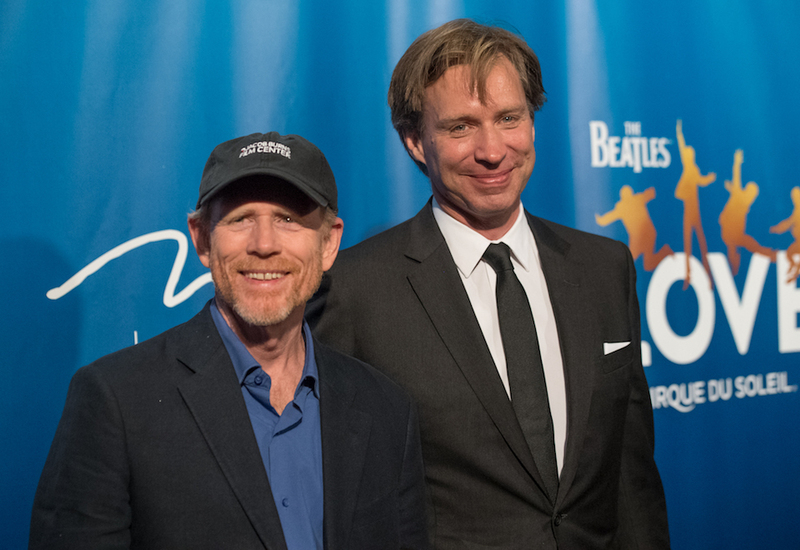 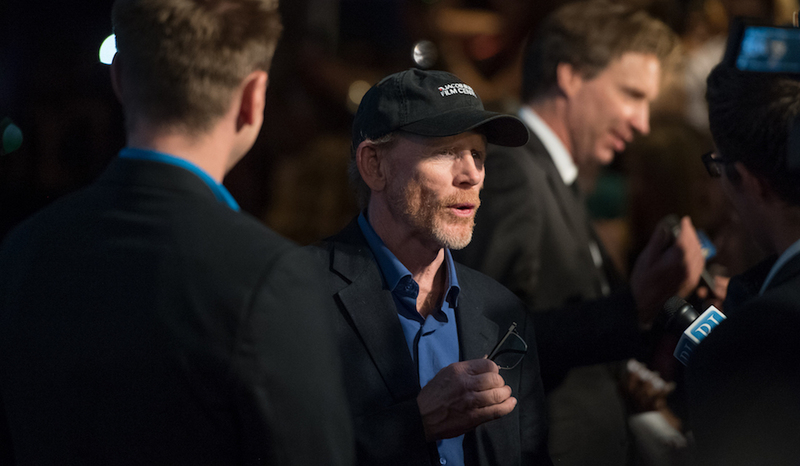 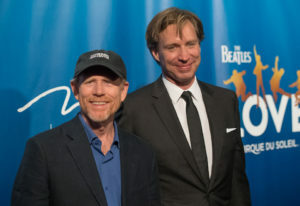 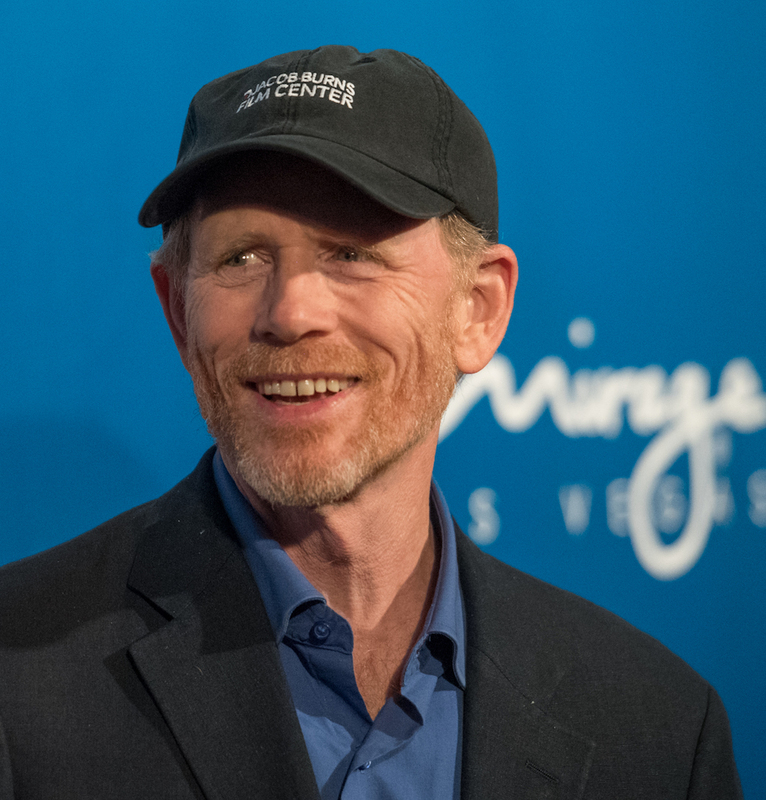 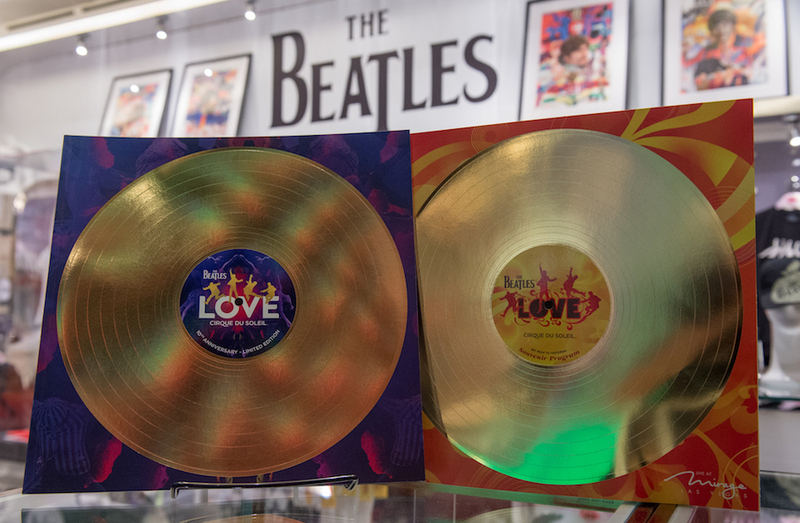 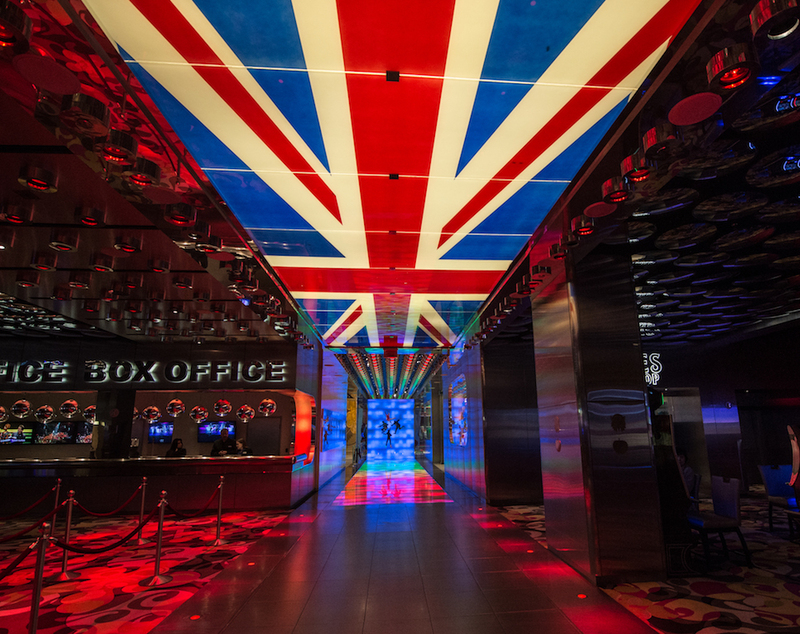 Also in attendance was Ron Howard, who has directed the upcoming “Eight Days a Week: The Touring Years,” a documentary about the first half of The Beatles’ career, to be released this September. 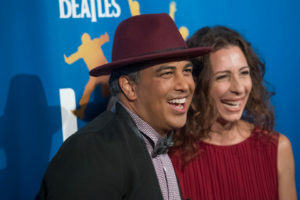 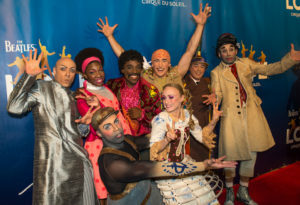 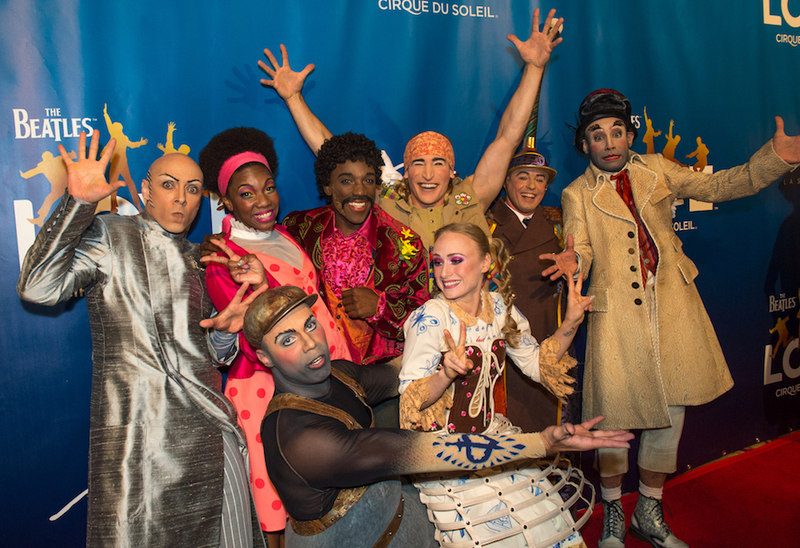 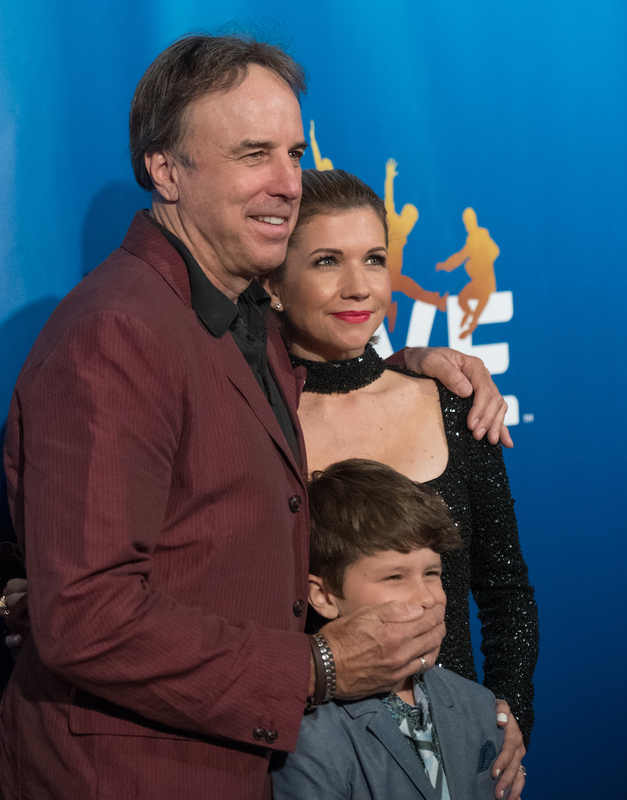 Choreographers Napoleon and Tabitha D’umo (“Nappytabs”), known for their work on So You Think You Can Dance, and who created three new numbers for the show, were also present, as was colleague Arlene Phillips. 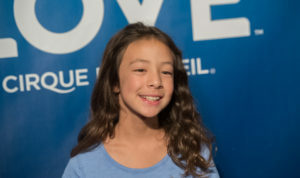 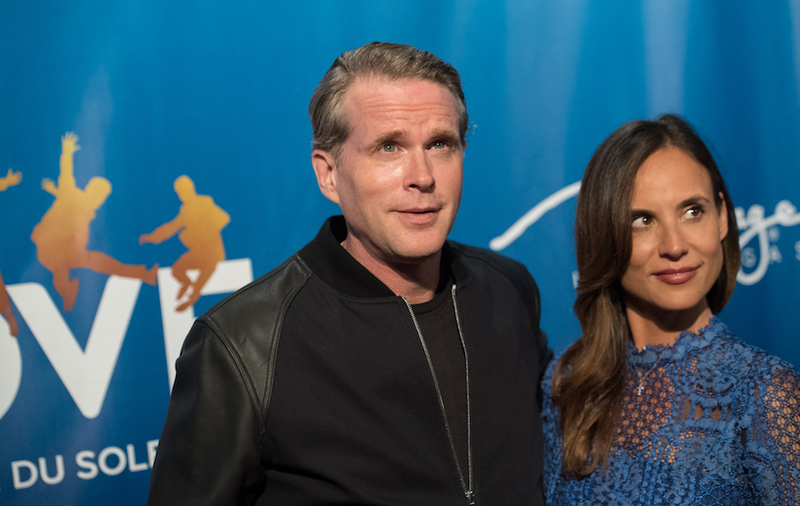 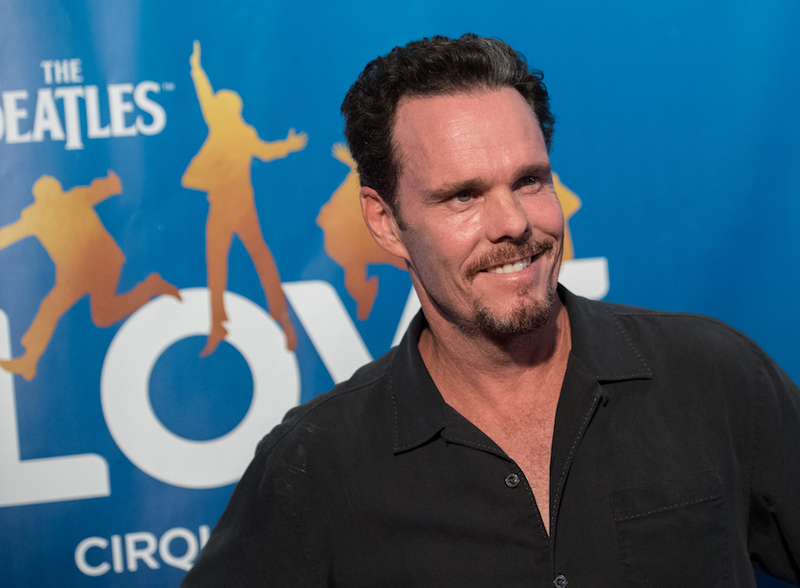 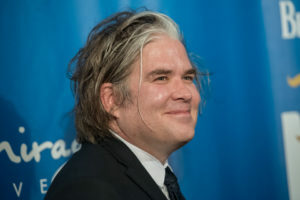 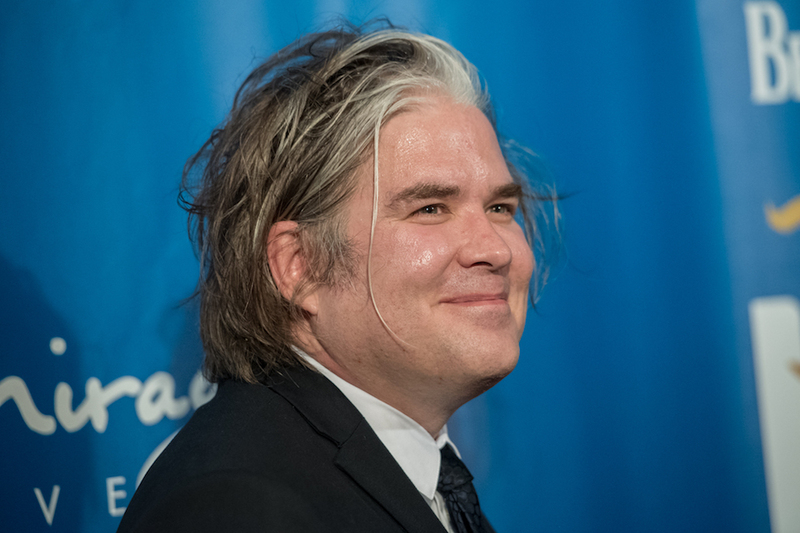 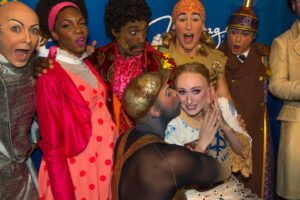 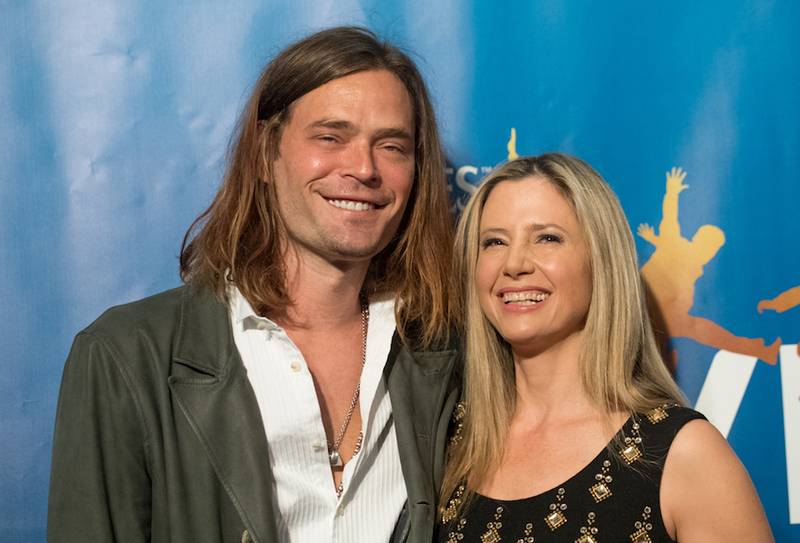 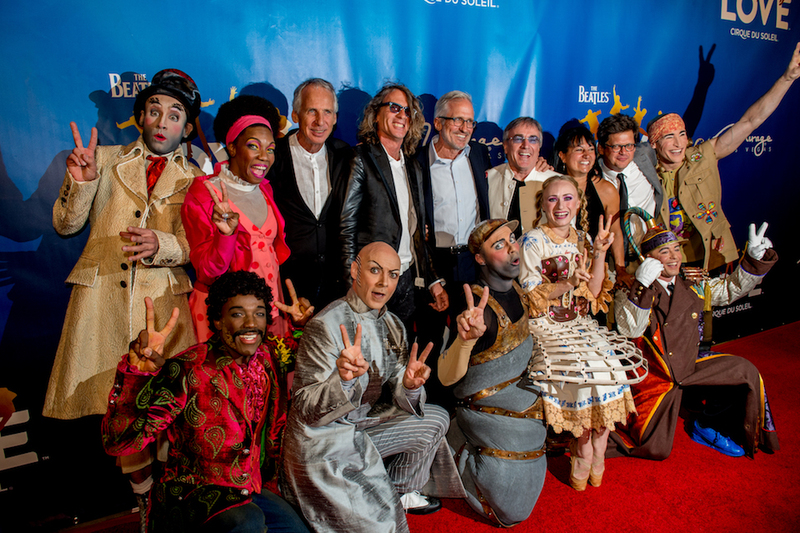 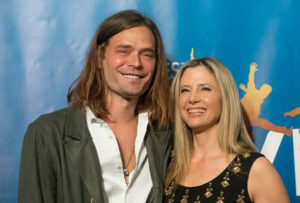 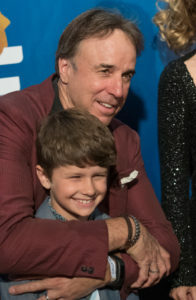 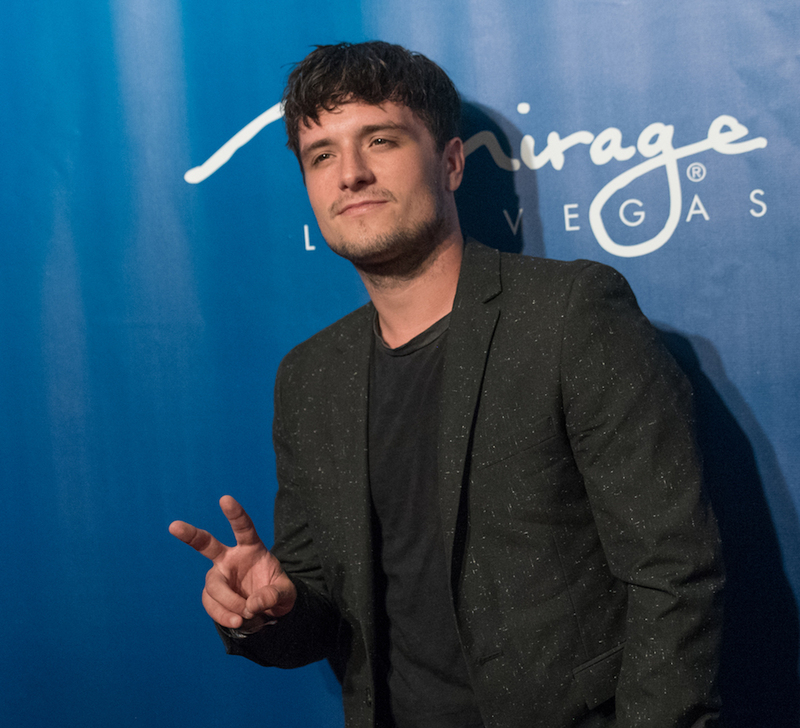 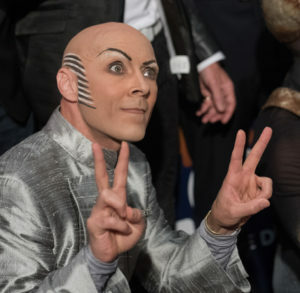 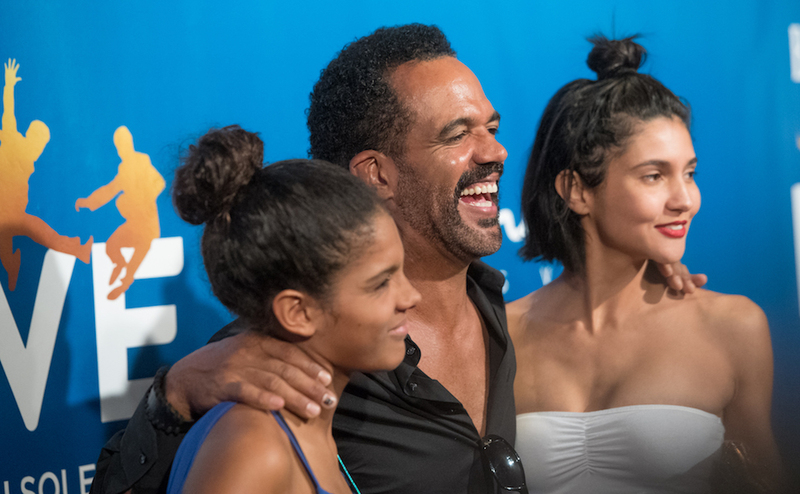 In addition, actors Mira Sorvino, Kevin Dillon, Cary Elwes, Kevin Nealon, Josh Hutcherson and Kristoff St. John were among the other VIPs who took in the performance.